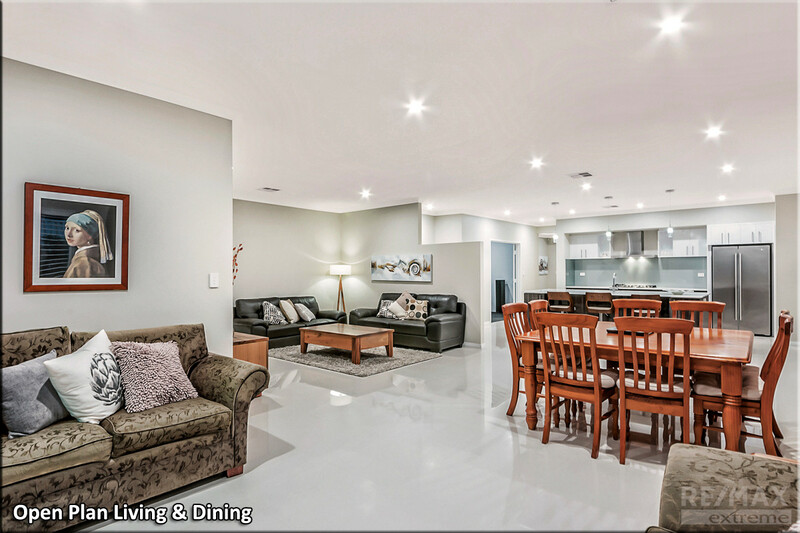 | $40K PRICE DROP – GET IN QUICK! 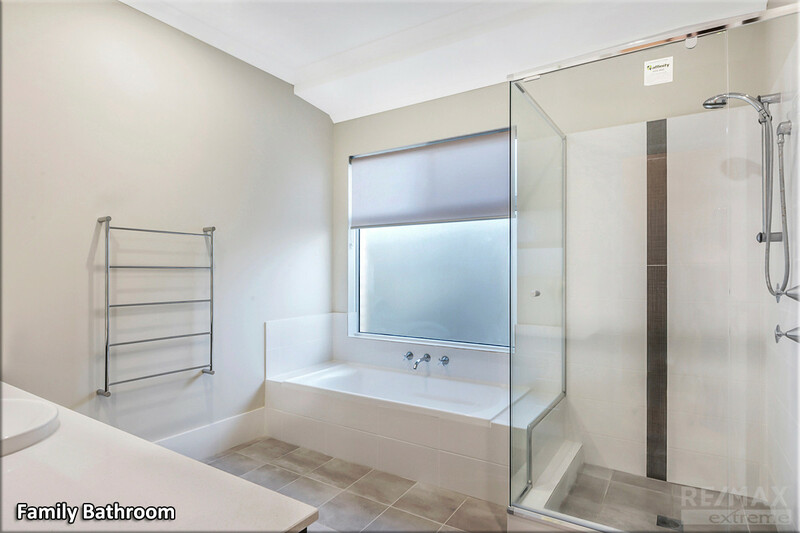 $40K PRICE DROP - GET IN QUICK! If its perfection you want it’s perfection you’ll get here at 4 Course Way! Well below replacement value; this top of the range family home is packed to the rafters with quality upgrades throughout and is ready to move into today! 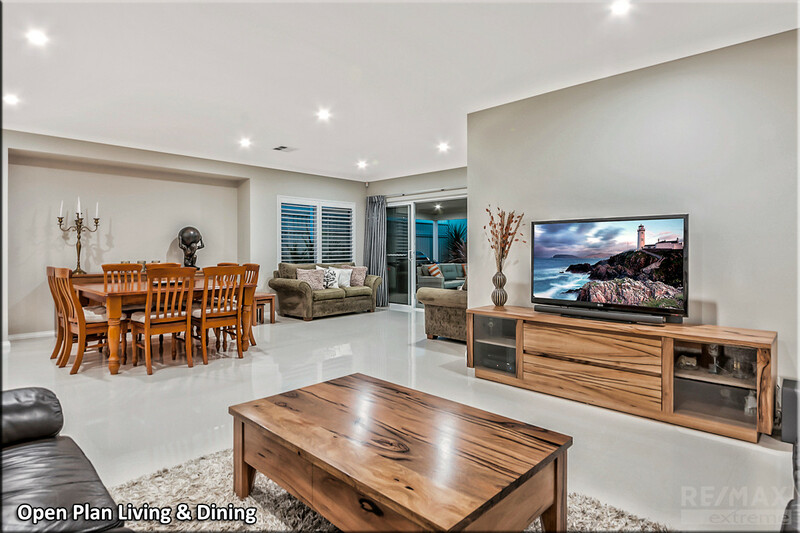 Located in a quiet parkside location only a few minutes from the tranquil blue waters of the Indian Ocean, this classy home will suit astute buyers who desire excellence and refuse to settle for second best! CALL NOW to view! 1. 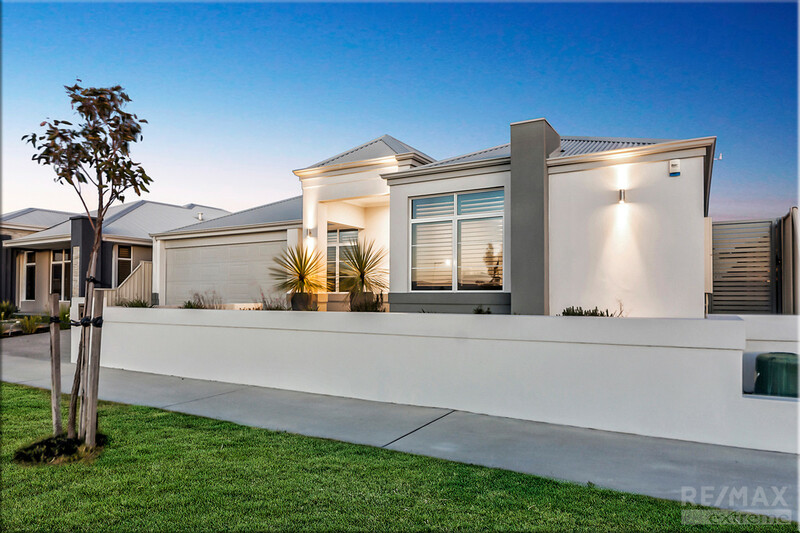 LOCATION – Proudly perched on a quiet street surrounded by quality homes & friendly neighbours; this stunning 4×2 home looks out to a quaint little park making it perfect for families! 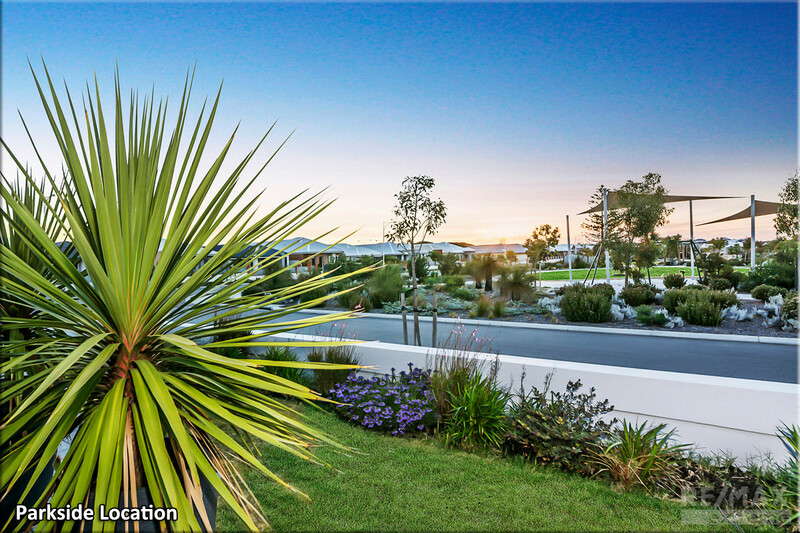 Approximately 2km to the Beach and walking distance to restaurants, shops, local schools and only a short drive to Butler Trainstation, you have everything you need at your front door plus plenty of up & coming amenities on their way, this is your chance to settle in one of the Northern corridor’s most popular coastal destinations! 2. 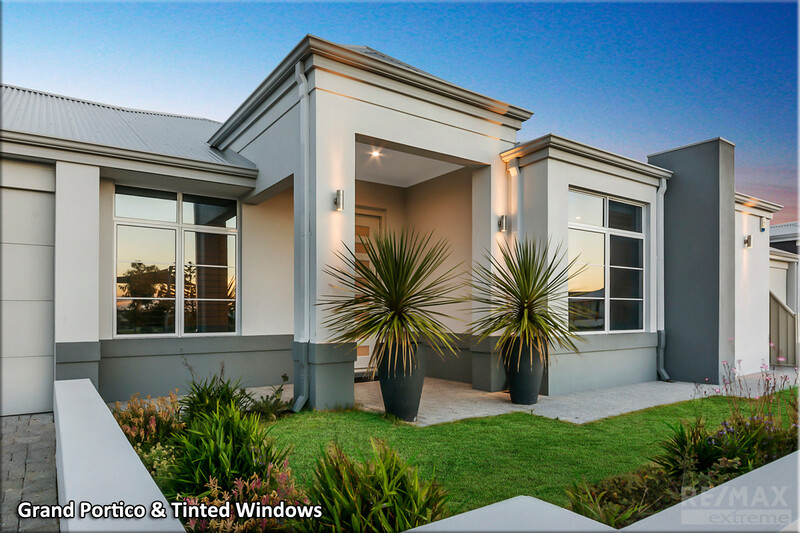 STREET APPEAL – Simply stunning in design, this custom built ‘Content Living’ home is instantly appealing to the eye and oozes grandeur from the outset! 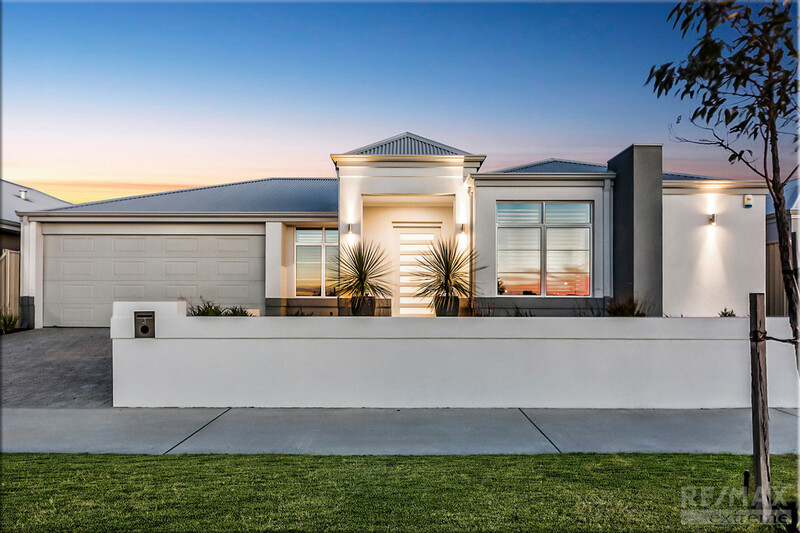 Proudly perched on an easy-care 489sqm block in an elevated position; the impressive façade and grand portico convey a look of class whilst the manicured coastal gardens & ambient lighting offer the perfect “welcome home”. 3. 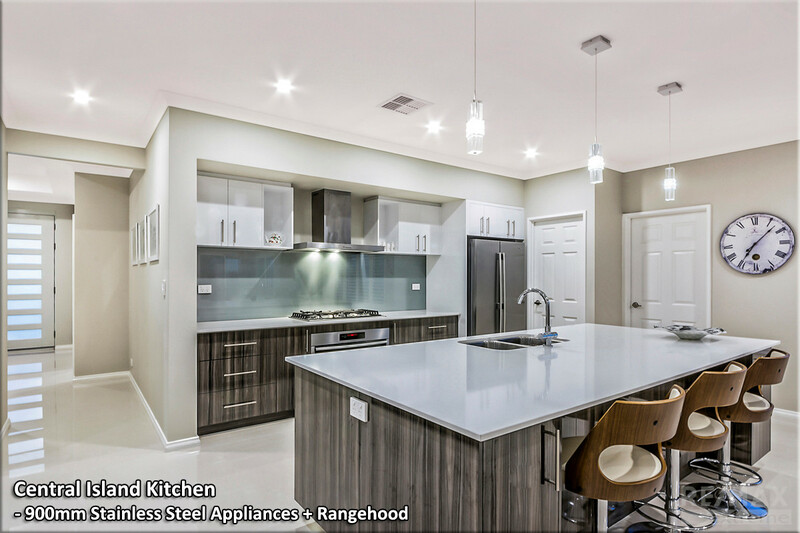 UPGRADES – When the owners built this property, they wanted to create a home to be proud of and they certainly haven’t disappointed! 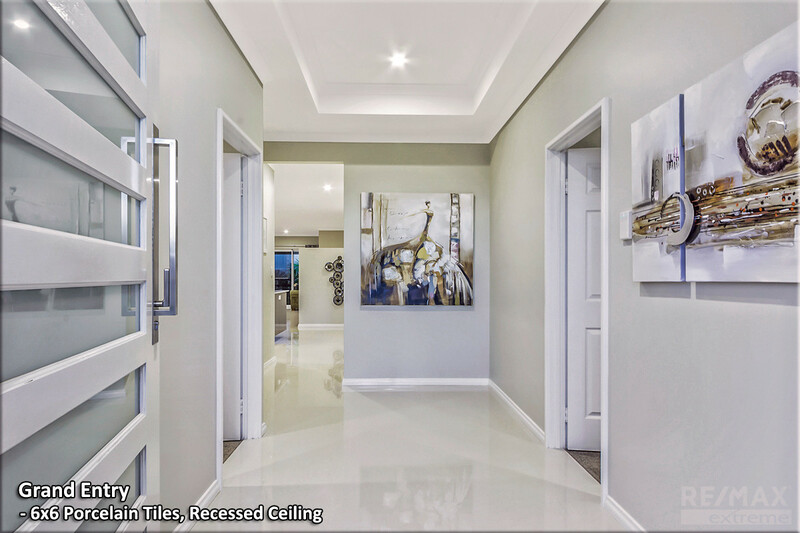 With the inclusion of a few added extras such as lofty 31c ceilings & widened hallways, 6×6 porcelain tiles, plantation shutters, upgraded doors, skirting boards, and feature lighting to name but a few …this home is packed to the rafters with bonuses that are sure to impress. 4. 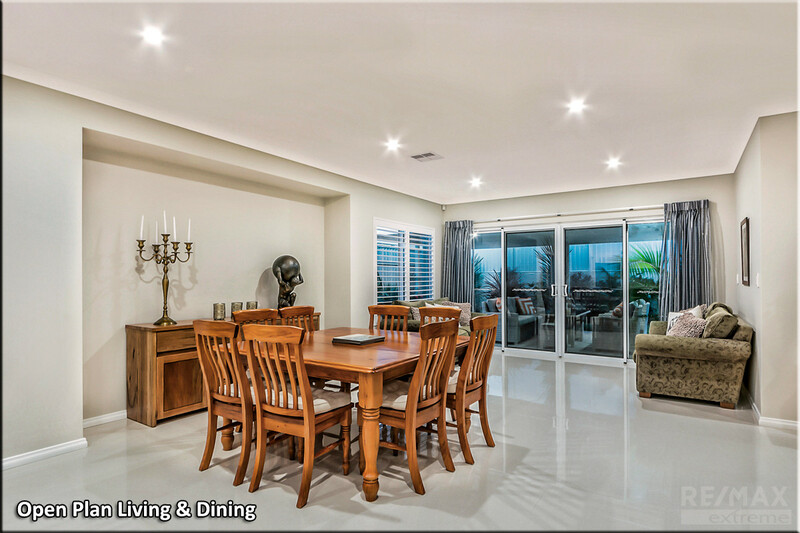 LAYOUT – Boasting a colossal 326sqm of total living, this beautiful property offers more than enough room for the whole family! 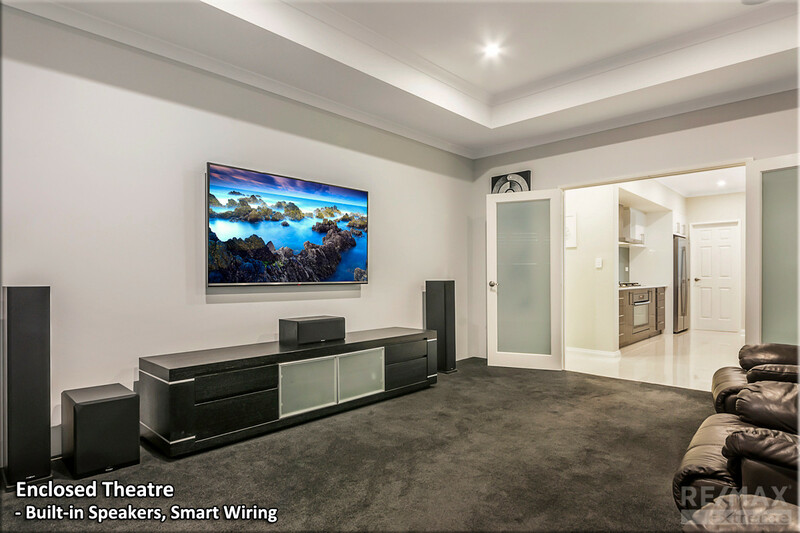 The open plan living/dining is light & bright, perfect for quality family time and meals or why not sneak off to the enclosed theatre room to enjoy your favourite shows in peace! 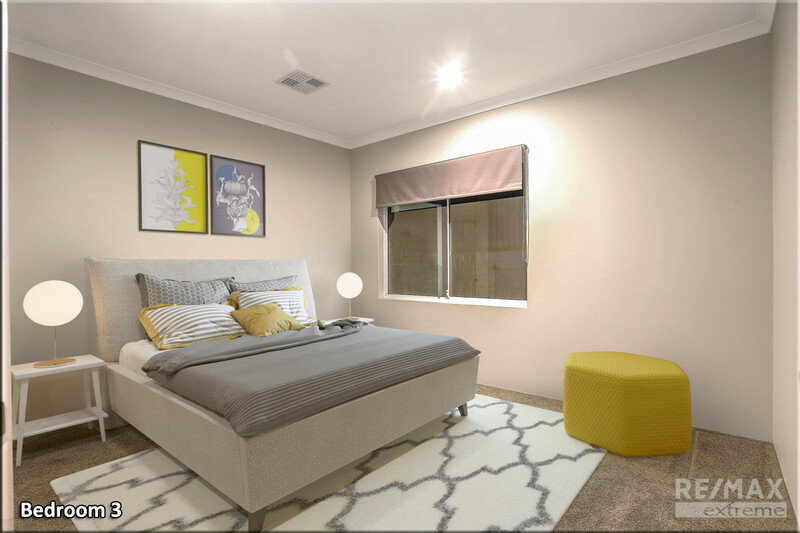 The front study provides the perfect place to check emails, finish homework or make those important business calls! 5. 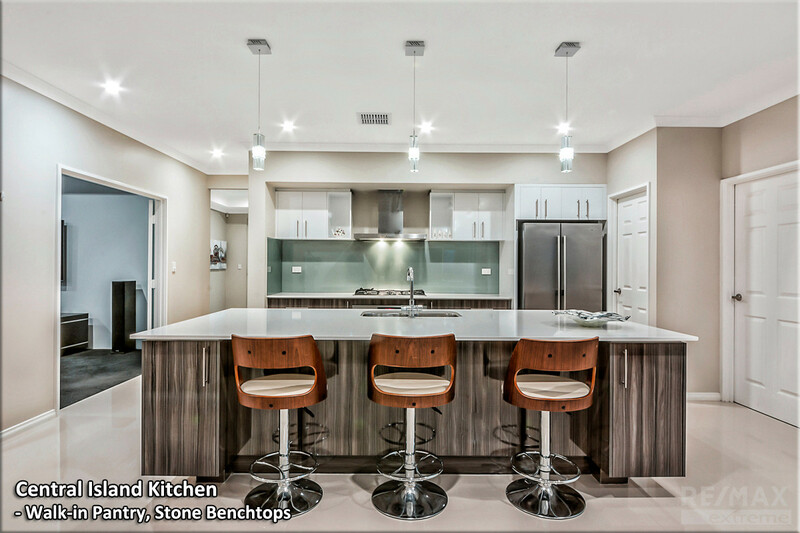 KITCHENS & BATHROOMS – They say that “kitchens & bathrooms sell homes”, if this statement is true then this one is a sure seller! 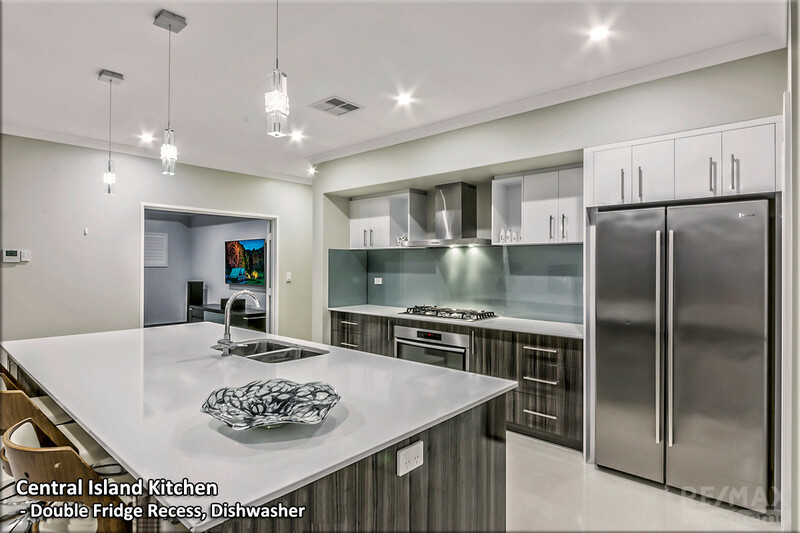 The central island kitchen has been completely upgraded and features 900mm ‘Westinghouse’ stainless steel appliances + rangehood, ‘Bosch’ dishwasher, extended breakfast bar, stone benchtops, walk-in pantry + soft-closing drawers and overhead storage, additional powerpoints, commercial glass splashback, double fridge recess and undermounted sinks. 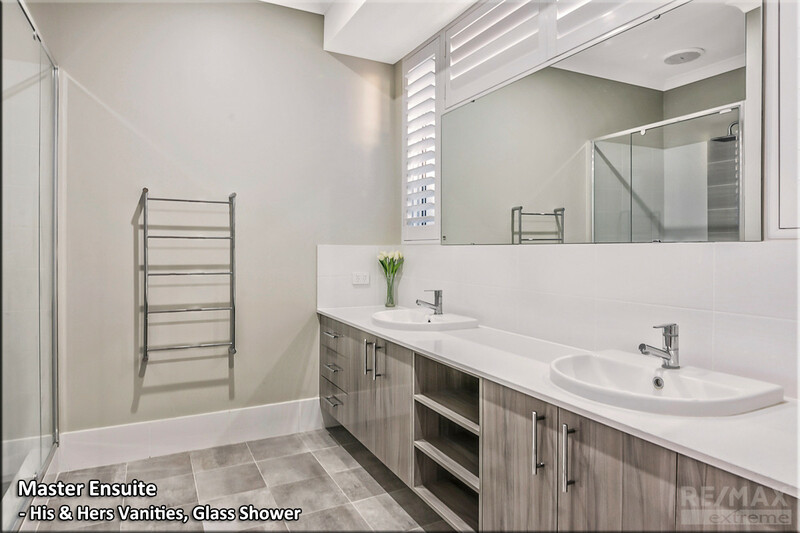 Both bathrooms are ultra-modern with stone benchtops, upgraded vanities and glass showers with separate W/C for additional privacy. 6. 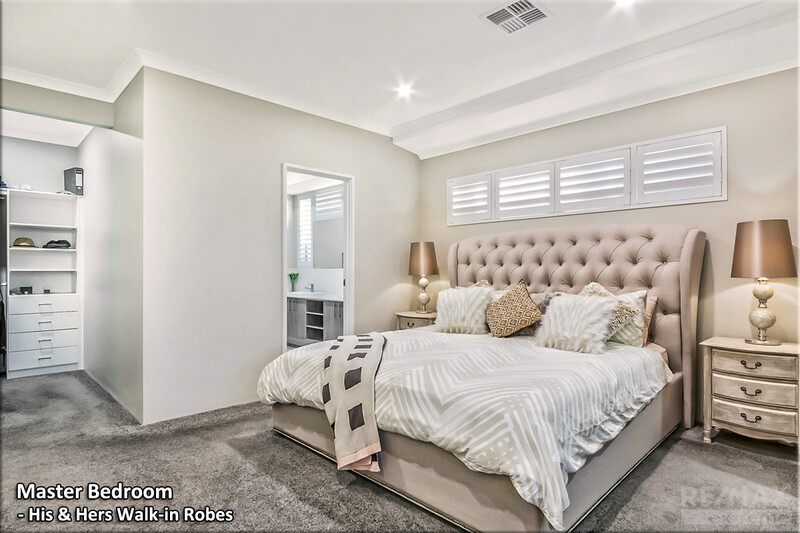 BEDROOMS – Secluded at the front of the property, the king-sized Master suite is bright & breezy and boasts ‘his & hers’ fitted walk-in robes, sumptuous carpets, plantation shutters, LED down-lighting, and modern neutral décor. 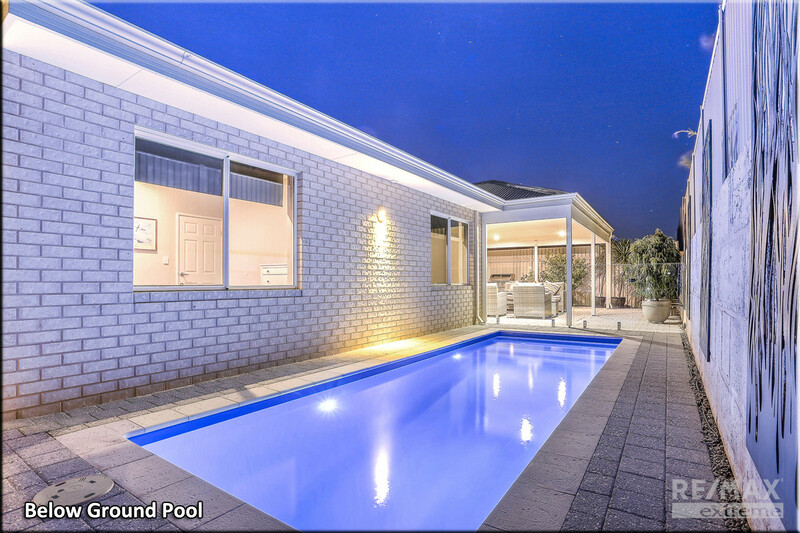 All three minor bedrooms at the rear of the home are queen-sized with walk-in robes, quality carpets, roller blinds and Bedrooms 3 & 4 offer spectacular views of the pool. 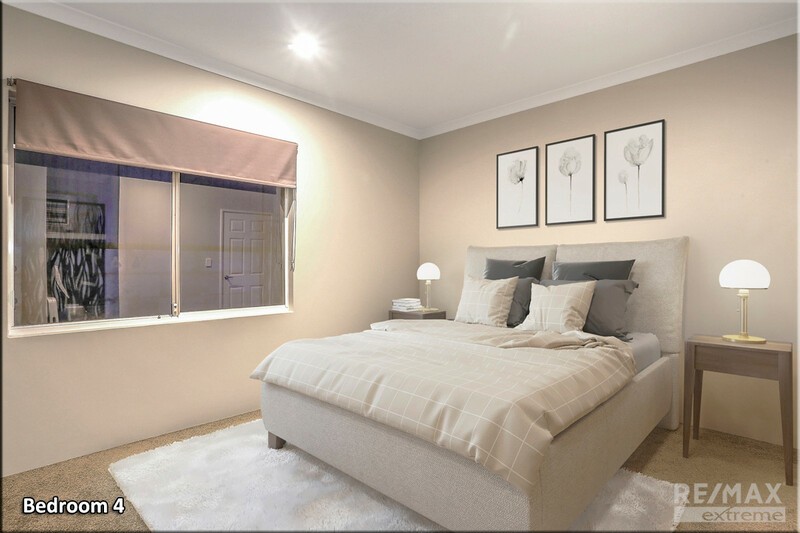 The front enclosed study is multi-purpose and can be used as a fifth bedroom/nursery depending on your needs. 7. 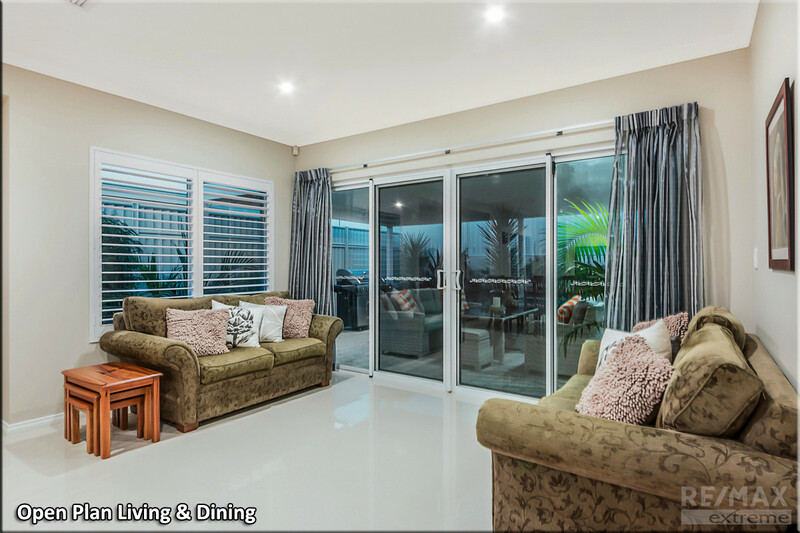 OUTDOOR ENTERTAINING – If you lead a hectic life and don’t have the time or patience for hours of gardening maintenance this is the home for you! 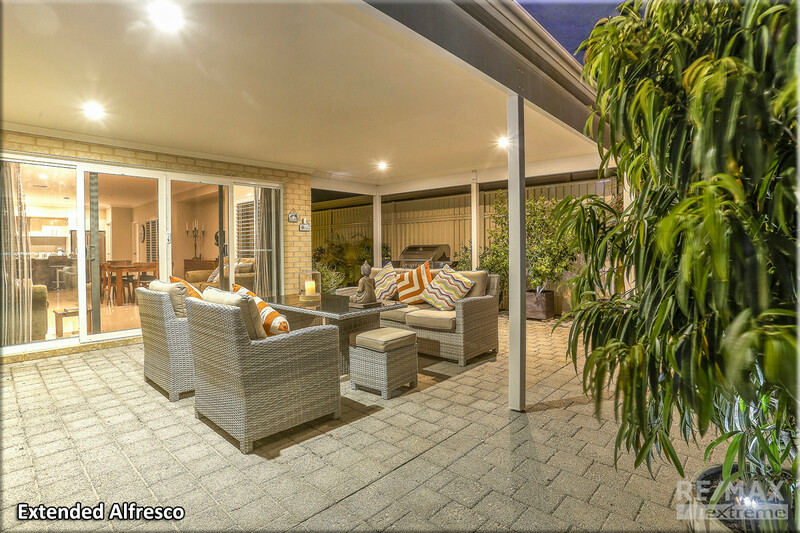 Presented like a little resort this outdoor area is safe, private and is pleasing to the eye! 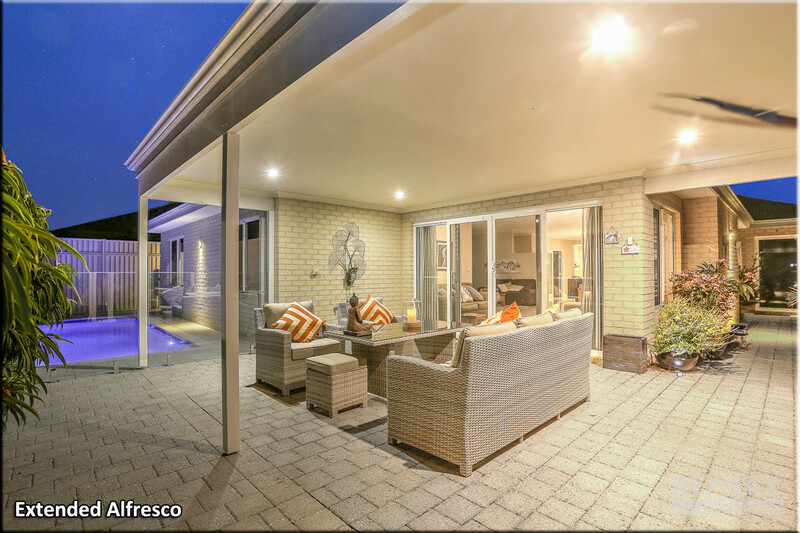 When the sun starts to fade on the horizon the extended alfresco comes alive and becomes something truly enchanting! 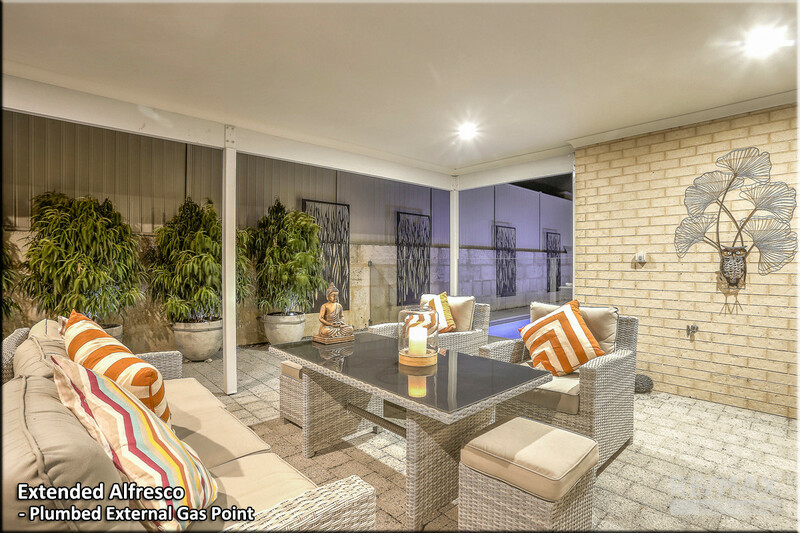 With plumbed gas, feature lighting and low-maintenance surrounds, you can crank up the BBQ, invite over your friends and truly appreciate your new coastal lifestyle. 8. POOL – If you’ve over indulged at lunchtime and the heat’s too much to handle, why not take a quick dip in the sparkling below ground pool and cool off for a while! 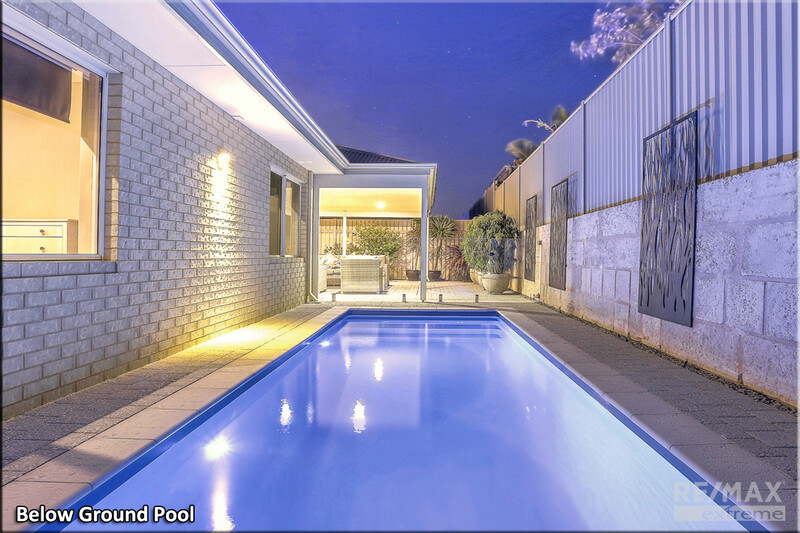 Only 6 months young; this stylish lap pool is perfect throughout those warm summer months! 9. 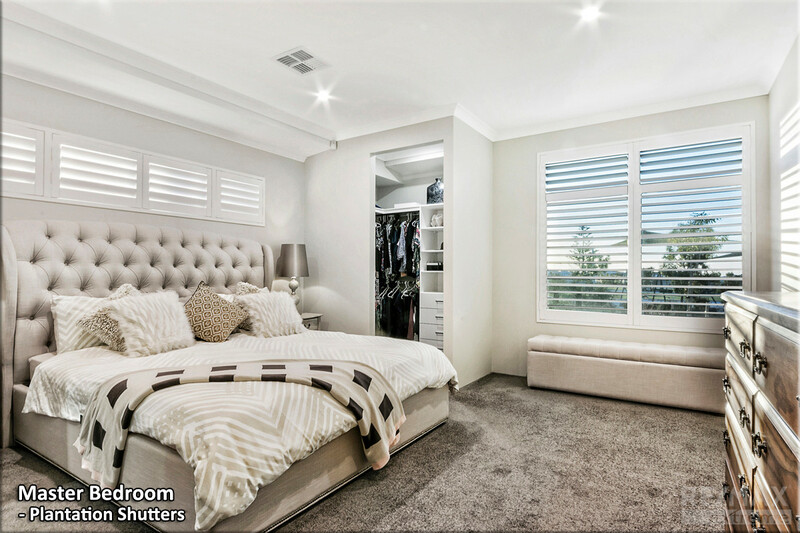 STORAGE – One of the biggest complaints from buyers about Australian homes is “theirs never enough storage”. At 4 Course Way, we have you covered! 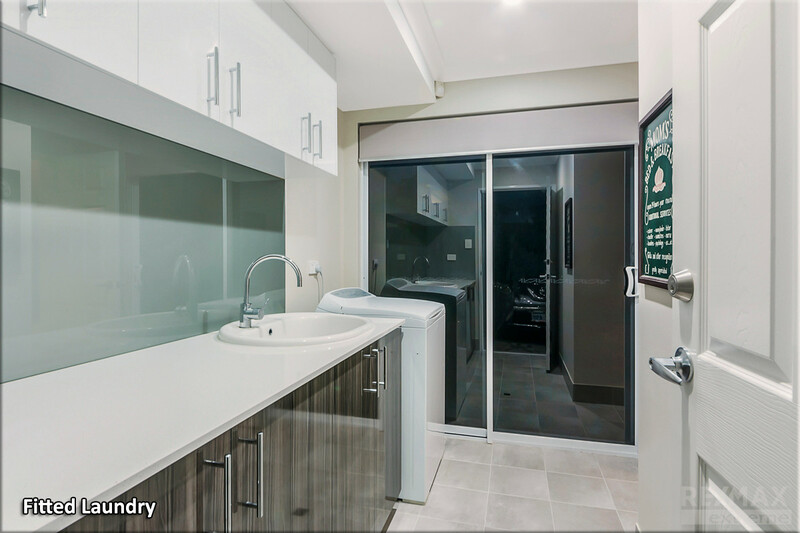 With walk-in robes in every bedroom, masses of fitted cabinetry throughout the home plus a large storeroom/workshop area in the garage; you have plenty of room to store away clutter and maintain the properties premium presentation. 10. 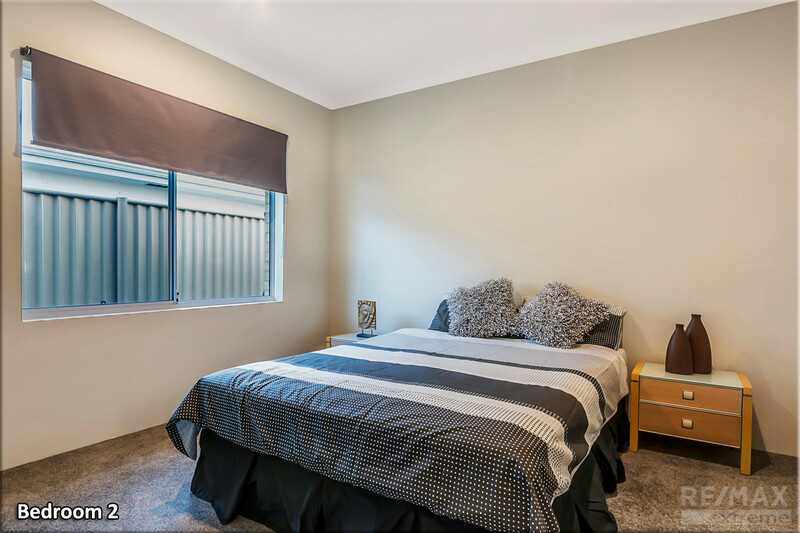 EXTRAS INCLUDE – Heightened double remote garage + additional storage area, fitted laundry + linen, ducted reverse cycle air conditioning, alarm system + security doors, additional powerpoints, coaxial points, internet points, fibre-optic internet, internal & external gas bayonets, built-in ceiling speakers, tinted windows (front & back), reticulation, gas hot water system and so much more!